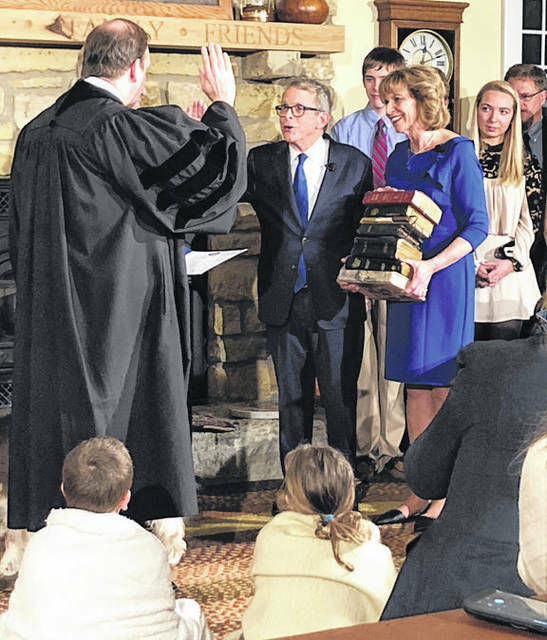 First Lady Fran DeWine explains the meaning of every Bible her husband used when he was sworn in as Ohio’s governor. 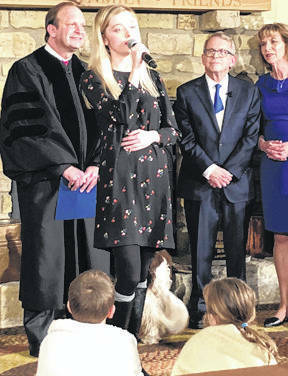 Sworn in by his son, Ohio Supreme Court Judge Pat DeWine, Mike DeWine, 72, took the oath of office with his hand on a stack of family Bibles including one owned by his late daughter, Becky DeWine; one acquired in Jerusalem; and one that First Lady Fran DeWine gave Mike on their 10th wedding anniversary. 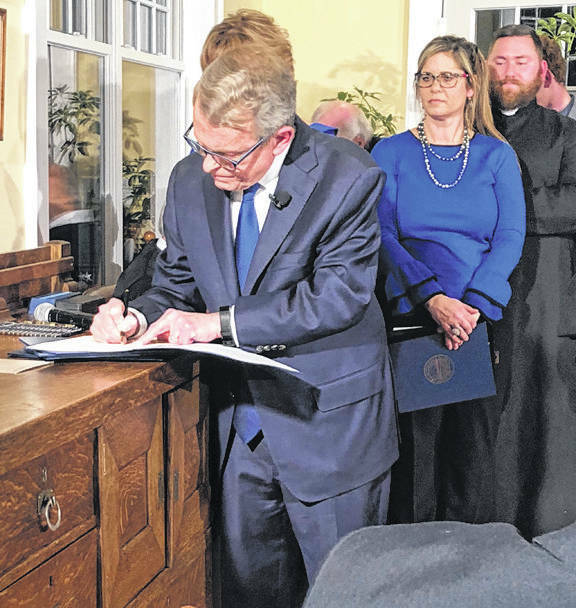 DeWine — the oldest Ohioan to become governor — brings decades of political experience to the Statehouse. 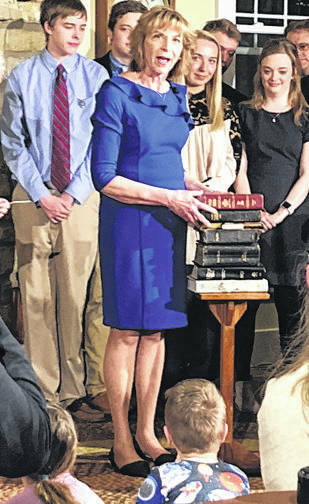 He was most recently the Ohio Attorney General, in office since January 2011. Prior to that he served as a U.S. Senator for 12 years, lt. governor under George Voinovich for four years, U.S. Congressman for eight years, and state senator for two years. He’s also a former Greene County prosecutor.